Access to Strategic Insight analysts for your firm's unique needs. Access to a dedicated SI analyst for ad hoc research projects, custom presentations and detailed analysis and advice on specific subjects. Access to experts in the U.S. and globally within the Asset International family. 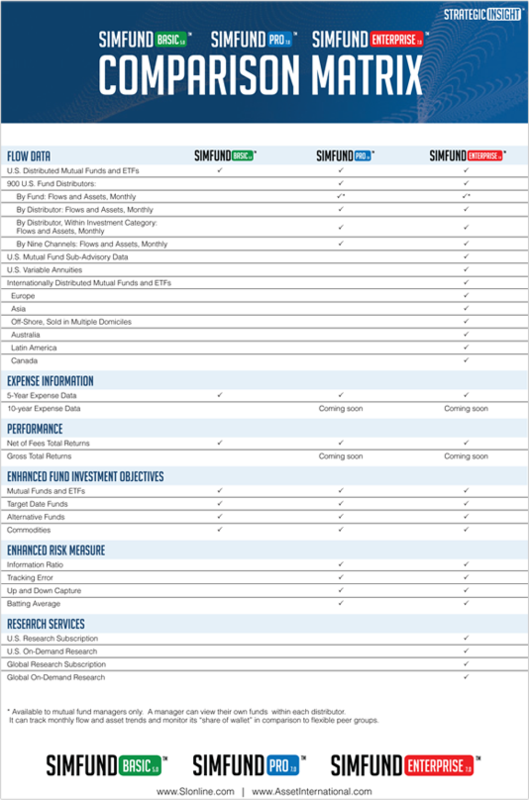 Characteristics of successful funds and investment styles.